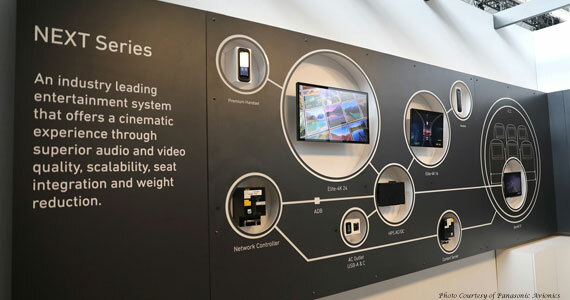 Astronics Corporation announced that it will preview its next-generation SATCOM connectivity solutions at the Aircraft Interiors Show (AIX) in Hamburg, Germany, from April 2-4, 2019. Developed by Astronics AeroSat, in conjunction with partner Phasor, the new SATCOM inflight connectivity antennas feature electronically steered array (ESA) technology that will deliver unprecedented connection reliability for aircraft. Available in three configurations and with an ultra-low profile, the E-Series will provide Ku- and Ku-HTS connectivity for today’s geostationary Earth orbit (GEO) networks, as well as tomorrow’s medium Earth orbit (MEO) and low Earth orbit (LEO) networks. The system also will offer dual-beam capability, enabling it to support the future “make before break” requirement of non-GEO networks from a single array, or the ability to communicate with two independent GEOs or a LEO & GEO network simultaneously. Gogo and long-time partner, Alaska Airlines, launched Gogo 2Ku high-speed connectivity and Gogo Vision wireless IFE on an A321neo featuring the airline’s redesigned cabin interior. 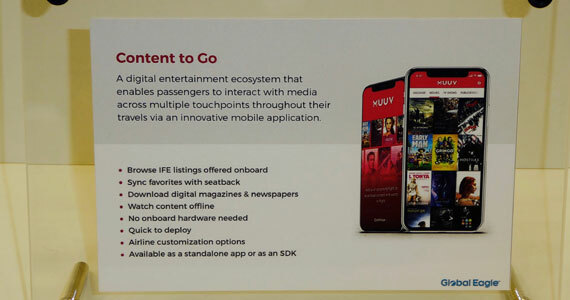 Gogo notes that 2Ku is the industry’s leading high-speed satellite inflight connectivity solution and delivers an internet experience comparable to what guests have on the ground, including the ability to stream video from the most popular streaming video services. 2Ku also has global coverage, which means guests onboard Alaska aircraft will have service from gate-to-gate nearly everywhere they fly, including to popular destinations like Mexico and Costa Rica, and over the ocean to Hawaii, where connectivity was not previously available. Alaska’s cabin experience is designed around the modern traveler, and two other Gogo products feature prominently within the airline’s experience – Gogo Messaging Pass and Gogo Vision. Alaska and Gogo innovated together to bring Messaging Pass free to the airline’s guests in 2017 – a first in the inflight connectivity space. Messaging Pass allows Alaska’s guests to send greetings from 35,000 feet using iMessage, WhatsApp and Facebook Messenger. The airline offers over 500 free movie titles to its guests on nearly every aircraft outfitted with Gogo Vision, Gogo’s industry-leading wireless entertainment system. Alaska will have satellite Wi-Fi powered by 2Ku available to guests on most of its Boeing and Airbus mainline fleet by the end of 2020. Free operating cash flow3: €811 million, 69% of adjusted net income. Dividend up 19% to €2.08. As announced by the United States Department of Justice (“DoJ”), Thales and Gemalto confirm that they have reached an agreement with the Antitrust Division of the DoJ that will allow the companies to proceed with the Offer. Consistent with commitments already made to the European Commission and other regulatory authorities, the agreement requires the divestiture of Thales’s general purpose hardware security modules (GP HSM) business. The agreement with the DoJ remains subject to court approval. Thales and Gemalto expect to close the Offer in March 2019. Hiring: Since 2016, Thales has hired 5,000 to 6,000 people a year. And in 2019, the company’s recruitment drive continues apace, with 5,500 new jobs created worldwide, including 2,500 in France. Telstra: Thales and Telstra combine their expertise with a view to building a robust, safe and secure ecosystem that will enable the management of low altitude airspace for manned and unmanned aerial vehicles (UAVs). Thales and Telstra have jointly prototyped a data and communication solution to prepare the way for the integration of manned and unmanned traffic in Australian skies. After collaborations with leading airlines including easyJet, IAG’s Iberia Express, Pegasus, Sun Express and many others, Immfly is expanding its operations into Asia. Immfly’s digital services platform enables airlines to maximize revenues and efficiencies while also enabling their customers to enjoy a best in class IFE system. Immfly’s connected digital services focus on facilitating operational processes to reduce airline costs with digital services that simplify and accelerate tasks. At the same time, the company has successfully delivered platforms with tool kits which optimize ancillary revenue opportunities. Immfly’s IFE enables passengers to use their own smart personal devices instead of heavy, costly seat back systems, to enjoy premium curated content and services. Immfly’s technology is available for all aircraft, irrespective of the airline’s investment in on board internet connectivity. As the service does not rely on an external internet connection, airline customers can enjoy the fastest onboard streaming speeds at consistently excellent quality. 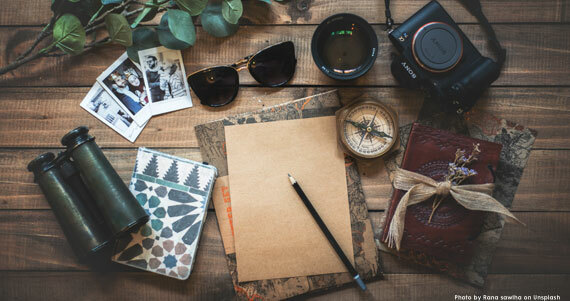 Dynamic content management is paired with unique tools to benefit airlines with enhanced passenger experience, smarter operations, and potent new revenue streams. In order to meet the high market demand for cadet pilot training in Europe – 94,000 new pilots over the next 20 years* – Airbus has decided to open its own flight academy and extend its training services offering by adding ‘ab-initio’ to its portfolio. Leveraging cross-divisional synergies, the Airbus Flight Academy Europe, based in Angoulême, France, will use Airbus standardized instructors to deliver the ab-initio Pilot Cadet Training program approved by EASA at the end of 2018, complementing the intermediate and advanced training phases that are already available and provided in the existing training network on 17 sites worldwide. The Airbus Flight Academy Europe aims to train up-to 200 pilot cadets annually. Using a modern fleet of both single and multi-engine aircraft equipped with full digital cockpit technology as well as the latest flight simulators, the training program will equip students with the skills and mind-set required to become “operationally-ready pilots” focusing on the all-important development of key pilot technical and behavioral competencies. The Airbus Pilot Cadet Training Program is open to high school graduates over 18 years old worldwide. Candidates will undergo online and on-site screening tests before being eligible for training which will include 750 hours of ground school, plus 200 hours of flight training. AIRBUS was selected by SriLankan and GoAir to provide Skywise Core open data management/analysis platform for 30 A320s/A330s and 50 A320s respectively. Boeing and International Airlines Group (IAG), the parent company of British Airways, announced the airline has committed to purchasing up to 42 777X airplanes, including 18 orders and 24 options. The airline joins a group of leading carriers that have selected the new 777-9, which will debut next month as the largest and most efficient twin-engine passenger jet in the world. The commitment, valued at up to $18.6 billion at list prices, will be reflected on Boeing’s Orders and Deliveries website once it is finalized. British Airways has been modernizing its fleet – one of the largest in the airline industry – to more efficiently serve its extensive global route network. In recent years, the airline has introduced the super-efficient 787 Dreamliner family to replace its medium-sized widebody jets. 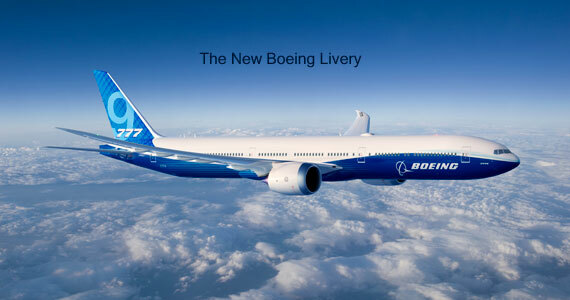 The new 777-9 will replace British Airways’ larger widebody airplanes, mainly the four-engine 747 jumbo jet. In ordering the 777-9, British Airways extends a long-running relationship with the popular 777 family. The airline is one of the largest 777 operators with a fleet of nearly 60 of the long-range jet. The airline last year committed to four more 777-300ER (Extended Range) jets via operating lease. The 777-9 is larger and has a slightly wider cabin than current 777s, which provides the ability to comfortably sit 400-425 passengers in a standard two-class cabin. Powered by 787 Dreamliner technologies, an all-new composite wing, and other enhancements, the 777-9 offers airlines 12 percent lower fuel consumption than competing airplanes. The 777-9 can also fly farther than its predecessors with a standard range of 7,600 nautical miles (14,075 kilometers). The 777X will also debut a redesigned cabin that incorporates popular 787 features and new technologies. Recently unveiled online, the 777X interior offers larger windows, a wider cabin, new lighting, while providing passengers with a smoother ride, better cabin altitude, humidity, and sound quality. The selection by IAG and British Airways puts the 777X at 358 orders and commitments from eight customers. Production of the 777X began in 2017, with first flight planned for this year and first delivery expected in 2020. Boeing and Vietjet confirmed that Vietnamese carrier has purchased 100 additional 737 MAX airplanes, taking their MAX order book to 200 jets. During a signing ceremony in Hanoi, United States President Donald Trump and Vietnamese Communist Party General Secretary and President Nguyen Phu Trong joined leaders of both companies to unveil the $12.7 billion order, according to list prices. The deal includes 20 MAX 8s and 80 of the new, larger MAX 10 variant, which will have the lowest seat-mile costs for a single-aisle airplane and be the most profitable jet in its market segment. The order was previously unidentified on Boeing’s Orders & Deliveries website. In ordering 80 MAX 10s, Vietjet becomes the largest Asian customer of the airplane type. The carrier plans to use the added capacity to meet growing demand across Vietnam, as well as to serve popular destinations throughout Asia. Vietjet placed its first order for 100 737 MAX airplanes in 2016, which set the mark for the largest commercial jet purchase in Vietnam’s aviation sector at the time. In addition to airplane purchases, Boeing will partner with Vietjet to enhance technical and engineering expertise, train pilots and technicians, and improve management capabilities at the airline and in Vietnam. The carrier also uses Boeing’s digital solutions to optimize its operations, including flight planning & Tech Log Book. Boeing and Bamboo Airways confirmed an order for 10 787-9 Dreamliners valued at $3 billion according to list prices. The order for the super-efficient and longest-range member of the Dreamliner family was unveiled during a signing ceremony in Hanoi, witnessed by U.S. President Donald Trump and General Secretary and President of Vietnam Nguyen Phu Trong. This order was previously unidentified on Boeing’s Orders & Deliveries website. Bamboo Airways, a startup airline founded in 2017, began commercial operations in January, offering flights linking the capital of Hanoi and Ho Chi Minh City with cities in Vietnam. The airline plans on offering up to 40 domestic routes in 2019. Additionally, Bamboo is preparing to launch international service to Thailand, South Korea, Singapore, Japan, Taiwan and Australia, before broadening service to other destinations in Asia, Europe, and North America. The 787 Dreamliner family allows airlines to fly long ranges while reducing fuel costs by more than 20 percent compared to previous widebody jets. The Dreamliner’s superior efficiency and range have allowed airlines to open more than 210 new non-stops routes around the world since it entered service. At 63 meters (206 feet), the 787-9 can fly 290 passengers, in a typical two-class configuration, up to 7,635 nautical miles (14,140 kilometers). The airplane is 6 meters longer than the original Dreamliner and is capable of carrying more passengers and flying farther. The 787 Dreamliner is the fastest-selling widebody airplane in history with more than 1,400 orders from 75 customers since its launch. Nearly 800 Dreamliners have entered service around the world, helping airlines save 33 billion pounds of fuel. Bamboo Airways is wholly-owned by the FLC Group, a Vietnamese multi-industry company, focusing on aviation, real estate, resorts, farming, and golf. The proposed strategic partnership between Boeing and Embraer was approved by Embraer’s shareholders during an Extraordinary General Shareholders’ Meeting held at the company’s headquarters in Brazil. At the special meeting, 96.8 percent of all valid votes cast were in favor of the transaction, with participation of approximately 67 percent of all outstanding shares. Shareholders approved the proposal that will establish a joint venture made up of the commercial aircraft and services operations of Embraer. Boeing will hold an 80 percent ownership stake in the new company, and Embraer will hold the remaining 20 percent. The transaction values 100 percent of Embraer’s commercial aircraft operations at $5.26 billion, and contemplates a value of $4.2 billion for Boeing’s 80 percent ownership stake in the joint venture. Embraer shareholders also agreed to a joint venture to promote and develop new markets for the multi-mission medium airlift KC-390. Under the terms of this proposed partnership, Embraer will own a 51 percent stake in the joint venture, with Boeing owning the remaining 49 percent. Boeing and Embraer announced in December 2018 that they had approved the terms for the joint ventures and the Brazilian government gave its approval in January 2019. Shortly thereafter, Embraer’s board of directors ratified its support for the deal and definitive transaction documents were signed. The closing of the transaction is now subject to obtaining regulatory approvals and the satisfaction of other customary closing conditions, which Boeing and Embraer hope to achieve by the end of 2019. Embraer will continue to operate the commercial aviation business and the KC-390 program independently until the closing of the transaction. The Boeing Company board of directors has nominated Nikki Randhawa Haley to be elected as a director at the company’s annual meeting of shareholders on April 29. Haley is the former U.S. ambassador to the United Nations, the first female governor of South Carolina, and a three-term legislator in the South Carolina House of Representatives. Inmarsat, a leader in global mobile satellite communications, has been named ‘World’s Leading Inflight Internet Service Provider’ for the second year in a row at the World Travel Awards. The prestigious accolade was announced at a gala ceremony in Lisbon, Portugal last weekend, following a vote by travel and tourism executives across the world, who were impressed by Inmarsat’s continued success in transforming the airline passenger experience with game-changing inflight broadband solutions. SkyLights announced it has partnered with new air wellness company Mataki Group to bring fear-of-flying relaxation videos to its Allosky VR Inflight Entertainment (IFE) catalog. Guided by airline pilot and flight-phobia expert Mathieu Leroy, the videos walk passengers through a program specifically designed to counter flying anxieties felt by around 43% of passengers. SkyLights, the market leader in immersive IFE, announced it is adding fear-of-flying relaxation videos from new air wellness company Mataki Group to its Allosky VR IFE catalog. The videos are aimed to address the 43% of people that feel either ‘quite’ or ‘very’ worried about flying, as recorded by a UK survey. In the videos, Mathieu Leroy, an aircraft pilot and flight-phobia expert, draws on human factor and neuroscience techniques to put passengers at ease during their flight and educate them about flying, turbulence and flight safety. ATMOSPHERE has announced that it is part of a team awarded a prestigious Group Achievement Award by NASA for ground-breaking research into interval management. ATMOSPHERE’s crucial contribution was the software used to create traffic and situation awareness, called PLANET. It used inflight connectivity to transmit ADS-B data from the three test aircraft and all surrounding aircraft, creating a real-time display of aircraft position, all relevant information about that aircraft, location of airspace and route structures, as well as weather and wind conditions. The most critical use of PLANET was by the Flight Test Director, who was aboard one of the aircraft and had the responsibility of coordinating the correct sequence of test runs between the three aircraft and the air traffic control facilities. The premise for the interval management research was to study new methods to enable the expected doubling of aircraft passengers within the next twenty years. The current air traffic management process is very manually intensive and relies on less accurate radar data, a technology that originated in the 1940s. Interval management uses more precise ADS-B data from nearby aircraft to allow avionics in the cockpit to automatically calculate the speed needed to achieve and then maintain a set spacing interval behind the previous aircraft. This spacing interval is assigned by the controller, and varies based on traffic density, type of aircraft, and the speed of the aircraft. The result is that controllers can space aircraft more precisely at a safe and efficient interval, thereby increasing the number of landing slots available at the runway, and reducing the need for additional fuel consumption. Ultimately, it improves the passenger experience by reducing delays, particularly when traffic is very heavy, or during bad weather. Gogo Inc. announced the closing of its approximately $238 million offering of 6.00% convertible senior notes due in May 2022. Under the terms of the transaction, Gogo effectively extended the maturity of approximately $200 million of its outstanding convertible senior notes from March 2020 until May 2022. Approximately $162 million in convertible senior notes due 2020 remain outstanding. The Competition Appeal Tribunal (CAT) in London handed down its judgment dealing with ViaSat’s challenge to Ofcom’s January 2018 authorization of Inmarsat’s UK complementary ground component (CGC) forming part of Inmarsat’s European Aviation Network (EAN). The Tribunal comprehensively found in favour of Ofcom and Inmarsat and determined that all of ViaSat’s arguments failed. On that basis, the Tribunal dismissed ViaSat’s case. The CGC authorization granted by Ofcom to Inmarsat for the EAN system remains in full force and effect. Inmarsat was awarded the S-Band frequencies enabling the roll-out of the EAN system through the first (and so far the only) pan-European spectrum award procedure. That procedure was managed by the European Commission through an open and transparent selection mechanism. Inmarsat competed with other bidders and was ultimately selected as one of the two winners. Inmarsat has spent hundreds of millions of pounds as well as significant human capital and years of hard work to deploy the EAN state-of-the art integrated platform. The EAN system is made of two components, namely a satellite (which was launched in July 2017) and a network of about 300 ground towers deployed across the European continent. In order to operate the EAN, Inmarsat needs certain national authorizations, including in particular CGC authorizations. Ofcom granted the UK CGC authorization to Inmarsat in 2018 and ViaSat challenged that authorization before the CAT. Amazon Go representatives have requested meetings with California Airport officials in at least 2 airports (LA & San Jose). Great idea for airport purchases since they don’t require standing in line to pay! Like AI? Check out “AI Now” the third year version here. Oh yes, don’t forget to checkout their 10 Recommendations — and we will see if the rest of the world will play along??? Malware and Cybercrime are growing and the folks at ZD Net have some 2019 predictions here: Cybercrime and malware, 2019 predictions – Page 4 | ZDNet Watch out “Cloud” Servers! Melbourne, Florida | November 20, 2018–SD has been appointed a Level 1 Value Added Reseller (VAR) for Inmarsat’s Jet ConneX service, the seamless in-flight connectivity solution. The Level 1 VAR status means that SD can now provide the ultra-high-speed data service directly to the business aviation community. This latest progression of the long-term SD and Inmarsat relationship benefits customers by enhancing the support and solutions available to them. East Aurora, USA | October 16, 2018–Astronics Corporation (Nasdaq: ATRO), a leading provider of advanced technologies for the global aerospace, defense and semiconductor industries, announced that its wholly owned subsidiary, Astronics AeroSat, had its FliteStream connectivity solutions tested, qualified, and approved to operate across Intelsat’s FlexExec business aviation service. 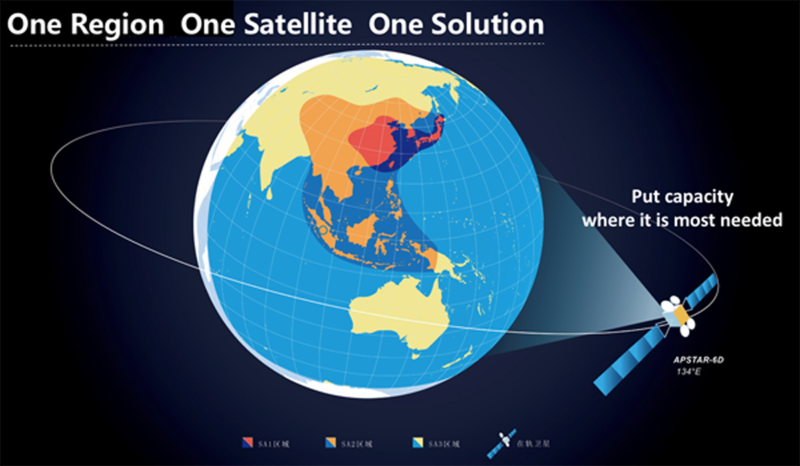 Astronics Aerosat’s FliteStream connectivity solutions are the first inflight terminals to obtain approval to operate over Intelsat’s FlexExec service. 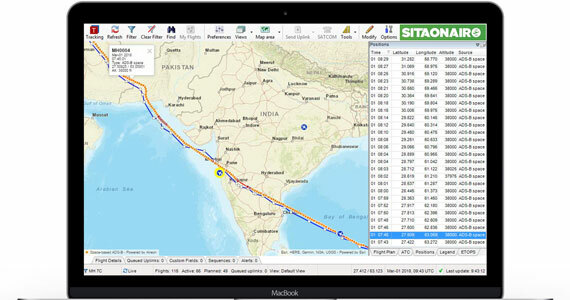 FliteStream is a widely deployed satellite broadband data solution of fuselage- and tail-mount SATCOM products designed for government, commercial, business and VVIP aviation operators and passengers. global, high-performing, multi-layered Ku-band satellite fleet. Specifically designed to cover high-traffic business jet routes, FlexExec integrates layers of high-throughput satellite (HTS) coverage from the company’s proven Intelsat EpicNG fleet with the company’s wide-beam Ku-band satellites to deliver added resiliency and redundancy. FlexExec also aggregates Intelsat’s space segment and the IntelsatOne ground infrastructure into a simplified, streamlined ecosystem. By having one cohesive network, service providers will immediately gain operational efficiencies and be in a stronger position to simplify the in-flight experience for flight departments. In addition, the flexibility of the FlexExec platform enables Intelsat’s service providers to define their offerings for customers on an individual basis rather than on a one-size-fits-all model. Astronics AeroSat’s FliteStream solutions include its patented lens-horn technology, which creates the most efficient, reliable and highest-performing SATCOM antenna systems available. 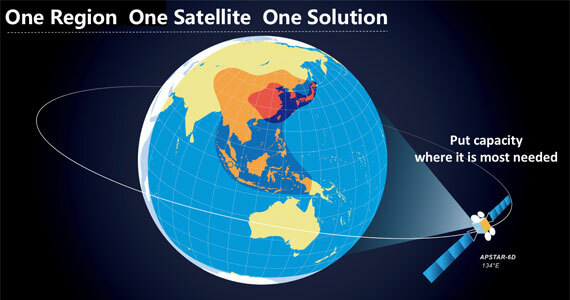 The FliteStream solutions integrate next-generation satellite modem technology and are the only systems in production today that is compatible with next generation Ku-band high throughput satellites and iDirect Velocity networks, which provides maximum internet and data speeds in a single antenna. commercial transport, VVIP, and military aircraft around the world. Learn more at Astronics.com. SD Avionics is working with aircraft OEMs on product specification and development, targeting product launch in late 2020. Once available, the antenna system will become part of SD Xperience, bringing future-proof technology compatible with LEO and GEO satellite networks operating in multiple frequency bands to the portfolio. additional potential benefit of reducing the hurdles associated with the acquisition, installation and operation of inflight connectivity systems. 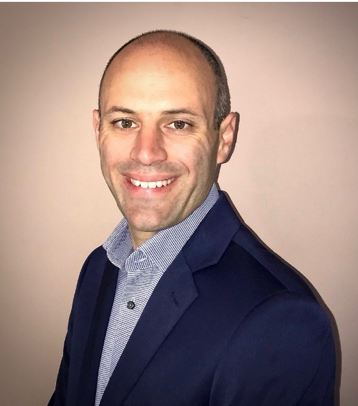 “We are very pleased to have Astronics join the Seamless Air Alliance and contribute their expertise alongside other market leaders defining the next generation of inflight connectivity,” said Jack Mandala, Seamless Air Alliance Chief Executive Officer. Astronics AeroSat provides aircraft IFC antenna and radome systems and Astronics CSC provides aircraft inflight entertainment hardware systems, as well as certification services. Wan Chai, Hong Kong | 16 April 2018– Satcom Direct (SD), the business aviation connectivity, software and hardware provider,celebrated the opening of its new Asia Pacific office on 10th April, accompanied by dancing dragons, traditional Hong Kong fare, and an elite gathering of Asian business jet operators. Situated in the heart of bustling Wan Chai, the expanded Hong Kong home of SD gives the growing customer base easier access to the business as it moves from its Hong Kong airport airside location, to the core of the city’s commercial district. The state-of-the art premises incorporates high-tech offices, meeting rooms, and a spacious workspace to demonstrate the ever-expanding range of SD services. The contemporary space reflects the innovative nature of the SD culture, and doubles-up as a venue for holding company events and customer training. The relocation to larger office space is a response to SD’s significant growth in the region which is being driven by the development of the Asia Pacific business aviation market, and in particular the growth of the Chinese business aviation sector. SD’s diverse customer base includes business jet management companies, operators, government, private owners, and corporate flight departments maximising the reliable, customized connectivity services SD designs and delivers. The new location brings the SD APAC team closer to its customers, facilitating enhanced customer support. “We know clients in Asia embrace the latest technology which is why we wanted to establish an even stronger base to deliver the superior customer support for which we are recognised,” says Chris Moore, CCO, SD. This includes support for the increasing number of customers in the region installing Jet ConneX, the ultra-high-speed data transfer service. “We were one of the first companies to prove the Ka-band technology for business aviation, and now supply the highest percentage of tails using the service worldwide. We’ve used this experience to create industry-first dedicated Service Level Agreements (SLA), to support our customers’ experience,” adds Moore. The SLAs include onsite support, proactive monitoring, outage notifications and guaranteed email and phone call response times. The office is manned by the existing seven-strong SD team, but it is anticipated the team will more than double over the next three years as new sales, technical and support roles are filled. “We are genuinely committed to this region and deem our presence essential to maintain customer service levels, manage efficient operations and keep our competitive edge,” says Moore. The success of SD’s existing customer support in the region was underscored when the business won Best Operational Support Award at the AsBAA Icons of Aviation Awards for 2017. “The award is testament to the team’s diligence here in the region, and our new office provides great foundations for them to continue to excel,” concludes Moore.The SD team will be meeting and greeting new, and existing customers, at ABACE 2018, 17-19 April, Booth H1214. March 13, 2018– With the latest enhanced version of Flightstream™ SA, AirSatOne is the first aviation Satcom provider to offer HTTPS web filtering. With the new version of Flightstream SA, customers benefit from more flexibility and more security while surfing the web. Flightstream SA offers a full set of internet security and management features, changes can be made through our customer portal at any time to a single aircraft, the entire fleet or a group of aircraft in the fleet – anywhere in the world. HTTPS is an encrypted website connection which is indicated by the lock icon in the address bar. HTTPS spread has been on the rise in the recent years, mostly because it is being encouraged by Google. The Electronic Frontier Foundation’s latest report states that ½ of the Internet is now protected by HTTPS. HTTPS uses port 443 by default but simply blocking port 443 means you are blindly blocking half of the internet. Your satcom service provider must use the latest technology to effectively manage HTTPS. With our latest service enhancement to Flightstream SA aircraft operators can now control access to the internet by restricting or granting access to not only HTTP-based, but now also HTTPS-based web pages and services. Available features include domain/URL blacklist & whitelist, category-based blacklisting, file-type filtering and file-size filtering. Most importantly aviation specific encrypted web apps such as flight planning and weather services can be whitelisted to ensure connectivity while managing passenger access. For special mission operators or for customers using airborne internet for business-critical applications it is now possible to black-list all web sites at once and whitelisting secure (HTTPS) web sites and software. Flightstream SA is deployed globally at the edge of the satcom network and the public internet. Being deployed globally is important to reduce hops and latency, our backbone and its efficiency matter to passengers on your aircraft. “AirSatOne has been providing Network Security and Cyber Security since we opened our doors in 2011, we have never left our customers unprotected and we have a mature product that just keeps getting better.” Said Jo Kremsreiter, President of AirSatOne. France | March 8, 2018–The European Union’s Global Navigation Satellite Systems Agency (GSA) has officially launched the EDG2E project (Equipment for Dual frequency Galileo GPS and EGNOS) with a consortium led by Thales. This four-year project intends to develop a dual-frequency multi- constellation receiver, enabling enhanced navigation capabilities, support standardisation and certification preparation. The consortium includes Thales, Thales Alenia Space and ATR, as well as contributions from Dassault Aviation and the French Civil Aviation Authority (DGAC). The GNSS receiver is the cornerstone of aircraft navigation systems. The system processes signals from satellite constellations and the Space Based Augmentation System (SBAS) to accurately determine aircraft position, altitude and velocity. The prototype receiver developed under the auspices of the EDG2E project will use signals from US GPS and European Galileo positioning systems, as well as from SBAS multi-constellation EGNOS. The project aims to achieve a prototype demonstration by 2021. The prototype receiver performance will be evaluated during a flight test campaign performed by ATR using one of the company’s test aircraft. Initiated by the European Commission’s Global Navigation Satellite Systems Agency (GSA), the EDG2E project will support the launch of the Galileo satellite constellation. Philippe Benquet VP R&T for Flight Avionics, Thales declared: “Leading the EDG2E project puts Thales at the forefront of the next generation receivers which will equip future aircraft by 2025, making navigation more precise and thus safer, unleashing the potential for increased air traffic”. EGNOS has been certified for use in aviation since February 2011, and is a very effective system to complement the US GPS, in order to provide better levels of performance, consequently enhancing aircraft approach capabilities. The next generation of EGNOS, called EGNOS V3, will further enhance performance by complementing both the EU Galileo and the US GPS satellite navigation constellations. “EGNOS v3 will provide aviation users with an increased quality of services, better accuracy and extended coverage area among other key performance indicators” said Jean-Marc Pieplu (GSA Head of EGNOS Services Programme). Fundamental Element Programme is a medium that supports development of terminals and antennae fostering use of E-GNSS in all domains. In this perspective, EDG2E is an important step for GSA as it will contribute to availability of high technology products on the aviation market, taking benefit of Dual Frequency Multi Constellation feature offered by EGNOS v3”. At the end of the EDG2E project, a new standard for GPS Galileo and SBAS aviation receivers will be completed, and the first SBAS dual-frequency GPS Galileo receivers for aviation will be ready for final development and provide safer operations not only for the aviation sector but also for other safety-critical applications. Lake Forest, California | March 8, 2018– Panasonic Avionics Corporation (Panasonic) and APT Mobile Satcom Limited(APSATCOM) today announced a major evolution in connectivity for mobility markets – Extreme Throughput Satellite (XTS) service. APSATCOM is an affiliate of APT Satellite Company Limited (APT), the operator of the APSTAR satellite constellation. With this new satellite, the companies are building on a long-standing and successful capacity relationship. One of the markets to benefit the most from XTS service is air transport. 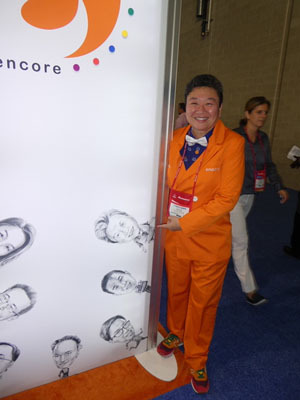 Today, 21 Asian carriers, representing over 800 aircraft, have already selected Panasonic for connectivity service, including many of the region’s leading airlines, such asAir China, All Nippon Airways, Cathay Pacific Airways, China Airlines, China Eastern, China Southern, EVA Air, Garuda Indonesia, Hainan Airlines, Hong Kong Airlines, Japan Airlines, Singapore Airlines, Thai Airways and Xiamen Airlines. In addition, other leading airlines around the world that are Panasonic connectivity customers will use this advanced satellite capacity as their aircraft fly routes to and over Asia. This XTS satellite will be integrated into Panasonic’s recently launched third generation communications network, which isbuilt to meet the growing connectivity demands of airlines and their passengers. This flexible network is designed to place capacity where it’s most needed across the globe to meet demand. IFPL, Gogo, PEW, and More! Inflight Entertainment and Connectivity (IFEC) specialists IFPL will be showcasing their latest power solutions at AIX 2018 in Hamburg, Germany. With new consumer devices adopting USB-C as standard, IFPL will demonstrate how airlines can easily transition from USB Type-A to USB Type-C, either with or without USB-Power Delivery (USB-PD). IFPL will be demonstrating its Reversible USB-Type A and Type C combination outlet that will allows airlines to support their passengers through the transition period from USB-Type A to USB Type C. IFPL has developed two combination variants, firstly a variant which has its existing high power reversible USB-Type A combined with a USB-Type C designed to work with the existing on-board power architecture, providing airlines a simple and low-cost upgrade path. Secondly, IFPL has developed a Reversible USB-Type A and Type C combination outlet that supports USB-Type C, with USB Power Delivery supporting Power Delivery Rules 1 to 4 delivering providing up to 60 watts of power to power laptops, as well as the regular Portable Electronic Device (PED) power. IFPL will also demonstrate how and why it has sensibly split the 28V to USB-Power Delivery converter from the outlet. This allows for much easier seat integration and heat dissipation, plus allows airlines to take advantage of existing in-service DC power supplies, whilst future proofing the outlet. This will allow airlines to take advantage of the next generation DC in- seat power supplies that have USB-Power Delivery built in as a standard, allowing commonality of outlets across the fleets. USB Power Delivery is the new standard for consumer electronics providing up to 100 watts of DC power (limited to 60 watts on aircraft). This is more than enough to power a laptop, smartphone, games console or camera, whilst significantly reducing the requirement for airlines to provide the more expensive AC power solutions, especially in economy. This unit has been designed to seamlessly integrate into the seat and deliver high levels of reliability. Visitors to stand 4B20 can see IFPL’s new USB power delivery and USB-C outlet and discuss industry adoption of this technology. 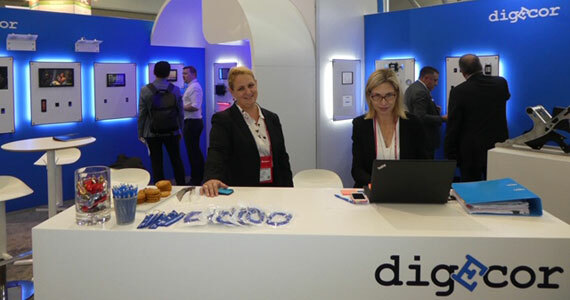 In previous shows IFPL demonstrated their in-service high power and data USB-A outlet and they have extended this range to include the new 2020 USB-A outlet. This unit has been designed to allow seamless integration into the seat delivering an ergonomic and aesthetic advantage over traditional outlets enhancing the passenger’s experience. The modular design ensures easy on wing replacement should the connector become damaged and allow for an easy upgrade path to USB-C in the future. To demonstrate this IFPL has been working with key industry partners to develop a new range of power solutions that focus on ensuring ergonomic and aesthetic seat integration. The modular approach has delivered a system that maximizes the use of the physical space of the seat and seamlessly incorporates the outlets into the seat arm. The result is an attractive installation of a fully integrated system to enhance the passenger experience. IFPL has announced its inductive charging unit that delivers wireless charging at the seat and once again these units have been designed to enable seamless integration into the seat. IFPL will show supporting design concepts for seatback PED holders and trays that provide USB and/or inductive charging. IFPL has been working with a number of seat vendors who will be displaying at AIX and they will be demonstrating how they have successfully integrated IFPL’s inductive charge unit into their seat. Further, they enhanced the capability of its existing 1225 unit, the 110V AC Universal Remote Power Outlet, with the addition of a high-power USB-A socket and will be demonstrating the new 2011 unit on the stand. IFPL Long Life technology delivers a highly robust and reliable audio jack that minimize the effects of CID. The high quality materials and design ensures that these jacks are robust and have been tested to over 100,000 insertions. IFPL use this Long Life technology for single, double and triple jacks. Additionally, IFPL’s design ensures that each pin socket can work as single pins ensuring additional redundancy in the dual and triple pin solutions. IFPL’s Rapid Fit technology delivers a solution to allow rapid on wing maintenance. The unit has been designed with a replaceable cassette, which house the jacks whilst keeping the expensive electronics in the main housing. The cassette can typically be replaced in less than 30 seconds allowing for rapid on wing replacement whilst keeping maintenance costs at a minimum. IFPL’s patented MagSignal technology virtually eliminates CID. The headset can be pulled from any angle and simply detaches from the magnetic plug without damaging the jack or the headset. This extends the life of the headset and the jack and avoids CID. The floating magnets ensure a signal is maintained at all times during turbulence and vibration. MagSignal has been tested to over 250,000 attachments/detachments, demonstrating the robust capability of this technology. 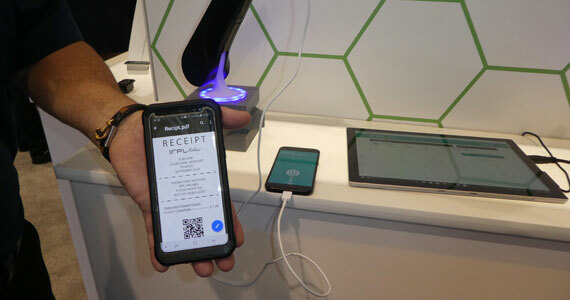 IFPL also leads the way when it comes to deploying contactless Near Field Communication (NFC) for payment systems and personalization with global OEMs and airlines now using IFPL’s technology inflight. AIX 2018 will see IFPL demonstrate NFC allowing airlines to provide easy seat back payment items, therefore increasing ancillary revenues. This has the ability to change the dynamic of the IFE systems value proposition, as passengers now have a combined entertainment and retail platform allowing them to browse, order and pay at their own convenience. Combine this with connectivity, big data, passenger personalization and broader distribution channels to deliver to the gate or at home, and the airlines have the ability to develop significant new revenue streams. As always, IFPL’s established range of IFEC products and solutions will be on display and the expert team from IFPL will be on hand to discuss any requirements that visitors to AIX 2018 may have. Gogo announced that Aeromexico will install 2Ku on an additional 9 Boeing 737-800NG’s, bringing the total to 29 aircraft. Today, 20 of Aeromexico’s 737-800NG aircraft are flying with Gogo’s 2Ku inflight connectivity technology. “Aeromexico was one of the first airlines to commit and deploy 2Ku and we are excited to extend our partnership and bring the industry’s leading inflight connectivity solution to their passengers,” said Dave Bijur, Gogo’s SVP and regional president for the Americas. The new aircraft are expected to be installed in 2018. 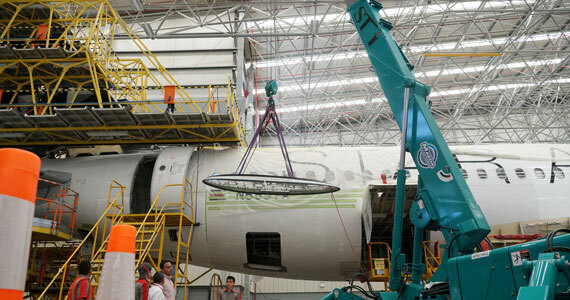 Gogo also announced recently that it has more than 200 aircraft equipped with its 2Ku inflight connectivity technology utilizing the increased capacity delivered by SES-15. These aircraft came online in SES-15’s first operational month and are the first to benefit from the new high throughput satellite (HTS) capacity. SES-15 entered service in January 2018 and is SES’s first hybrid satellite providing Ku-band wide beams and Ku-band spot-beam capacity over North America, Mexico, Central America and the Caribbean. Due to SES-15’s high-powered HTS beams, all Gogo aircraft outfitted with its next generation modem will experience an even better customer experience with improved economics. All new 2Ku installations enter service with the upgraded modem, and all 2Ku equipped aircraft are expected to have the new modem by the end of this year. “Gogo’s 2Ku technology is delivering industry leading performance today, but we designed the technology with an open architecture so it could take advantage of numerous enhancements over time,” said Anand Chari, Gogo’s chief technology officer. “As we layer in more HTS capacity from satellites like SES-15, 2Ku’s performance will get even stronger without having to touch the aircraft.” Gogo has signed capacity agreements across 11 SES satellites around the world, including agreements for HTS capacity onboard SES-15 and SES-14, which successfully launched in January 2018 and will provide additional HTS capacity over Latin America, the Caribbean, and across the North Atlantic. The Passenger Experience Conference (PEC), the industry-leading global conference and networking forum that defines the future of the passenger experience, will return to the Hamburg Messe to kick-off Passenger Experience Week (PEW) on Monday 9th April 2018. This year’s event will feature a raft of leading speakers from across the passenger experience industry and beyond. With the first iterations of driverless cars, hyperloops, optionally-piloted air-taxis and electric planes all set to be realized in the next decade, this year’s PEC plenary session will address the many new frontiers for transport and the passenger experience. Moderated by leading industry executive, Boeing’s Director Differentiation Strategy, Blake Emery, the session will start with a focus on disruptive possibilities and their impact on the airline industry, led by Richard Chung, Adient’s Vice President, Innovation and Design. Adam Wells, Head of Design at Virgin Galactic, will then launch delegates on a journey through the company’s development, with a stellar exploration on creating the world’s first spaceline. The plenary session will conclude with a look at Future Horizons, with a director of leading design consultancy PriestmanGoode looking at the impact of new forms of high speed transport such as Hyperloop, and the opportunities presented by autonomous vehicles and passenger drones. The PEC delegation will then split into three streams; Convergence and Mobility, Personalizing the Journey and Flexible and Sustainable Thinking. Each of these streams is designed to offer delegates a deep-dive into the most pressing topics facing the passenger experience industry. Convergence and Mobility: From seamless urban mobility to the on-demand economy, this stream will explore how the cross-pollination of ideas across travel modes can enrich today’s passenger experiences and create new business opportunities. The keynote for this stream will be given by Kaj Pyyhtia, Co-Founder of the world’s first mobility service, with other leading speakers from AirlineTrends, Almadesign, Diehl Aerosystems, Embraer, Joon, KLM, LSG Group, N+P Industrial Design, Norwegian and TAP Air Portugal. Personalizing the Journey: Airlines and rail companies are increasingly offering personalized experiences to each and every customer, with connectivity and data-driven technologies being key to success. This stream will explore how operators can get close enough to their customers to truly understand what they want from the onboard experience and to build deeper and lasting relationships. Speakers for this stream will include leading executives from Black Swan, Cathay Pacific, eGate Solutions, Golfdale Consulting, Guestlogix, Panasonic Avionics, Spafax and the Valour Consultancy.Flexible and Sustainable Thinking: Examining how flexibility can be designed into products to afford more options for airlines and rail operators, this stream asks the question about what role sustainability plays in this equation. The keynote for this stream will be given by Christina Fagin from leading Hamburg-based circular economy consultancy, Gruner Hering, with other leading speakers from Airbus, Air New Zealand, Napaway Coach, Paperclip Design, the National Research Council of Canada, Recaro Aircraft Seating, Thomas Cook Group Airlines and Zodiac Aerospace. The day will conclude with the Industry Networking Party which takes place from 6:00pm – 9:30pm in the PEC venue at the Hamburg Messe. 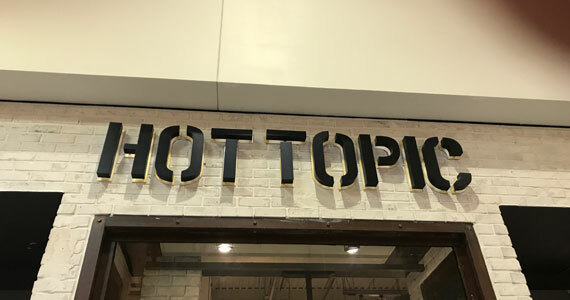 The party has become a popular networking event with the wide-range of food, drink and live music on offer making it the perfect place to enjoy meeting new people and building business connections. 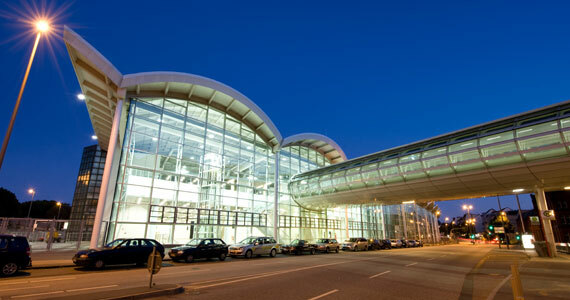 The PEC is the launch event for Passenger Experience Week – which comprises four leading events in one destination: the Passenger Experience Conference, the Aircraft Interiors Expo (AIX), the World Travel Catering and Onboard Services Expo (WTCE) and, new for 2018, Passenger Technology Solutions. The new Passenger Technology Solutions event will offer attendees a chance to discover and source the latest developments in passenger technologies from mobile initiatives, IT solutions, big data and analytics technology and payment technology suppliers – all enhancing the passenger experience. Looks like Google is heading for hotel bookings (Google now allows hotel bookings through search results | Hotel Management) … whats next? 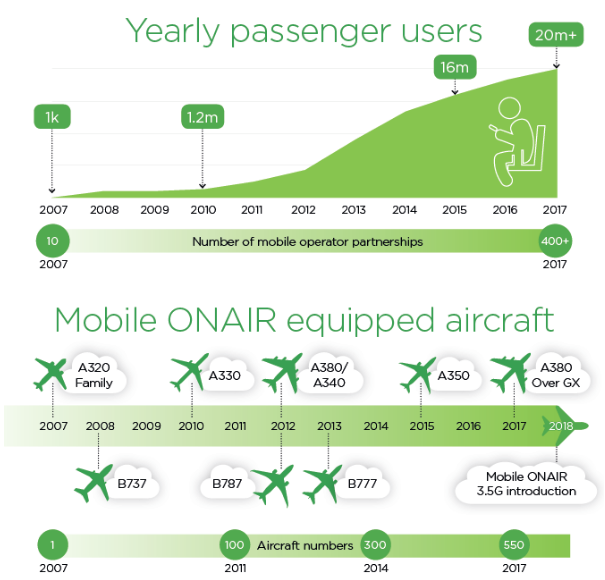 December 18, 2017– SITAONAIR is celebrating a decade since the first ever inflight cellular data transmission and the birth of Mobile ONAIR. Gregory Ouillon, Chief Technology Officer at SITAONAIR, says: “It’s remarkable to think that it was just ten years ago that SITAONAIR launched the world’s first inflight mobile service onboard an international flight. This convergence is essential to meet the demands of the modern passenger. With 50-100 billion Internet connected devices expected to be in circulation by 2020, ranging from fitness trackers to thermostats, mobile network operators will play a central role in connecting these devices, both on the ground and in the air.